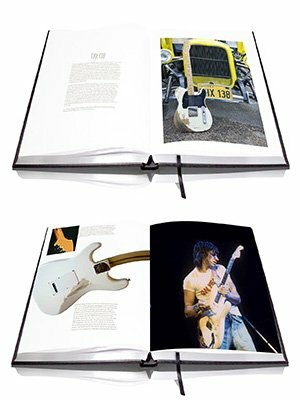 In his recent interview with Rock Cellar magazine, Jeff Beck reveals the process that has led to his new book, BECK01, with Genesis Publications. Beck explains: "Pictures are amazing. Even just blurred pictures tell a story. So we chose the ones that are the most pertinent to the particular era we were trying to illustrate." "But they wanted something to outline each story and make the book flow a little bit, and I think they've done a wonderful job." Rock Cellar magazine calls BECK01 "an exquisite limited edition book", in which "Beck comes across as witty and insightful, showing a side of himself that most fans have never been privy to."